October 25, 2018, 2:00 p.m.
Facebook’s recent data breach and the Equifax hack last year are examples of how high-profile cyber attacks are becoming more commonplace. While businesses and institutions continue to reevaluate how to best protect consumer data, a new study around online security finds that many consumers do not follow cybersecurity best practices in their own lives. Data from YouGov Omnibus shows that at least one in four (27%) Americans use the same password for ‘most’ or ‘all’ of their accounts. 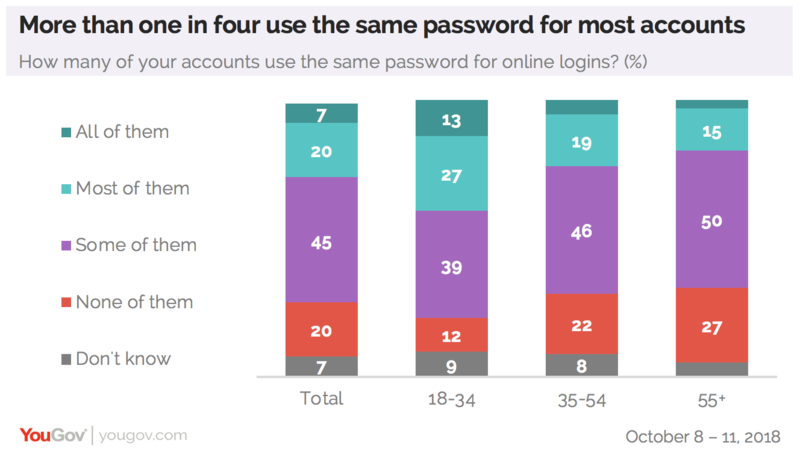 Americans the age of 18 to 34 are especially likely to report using the same password for most of their accounts: 40% of Americans in this age group report this, compared to just 25% of 35- to 54-year-olds and 19% of those 55 and older. One in five Americans overall say they use a unique password each time. Security experts also caution against sharing passwords with others but a majority (61%) of Americans say they do so anyways. 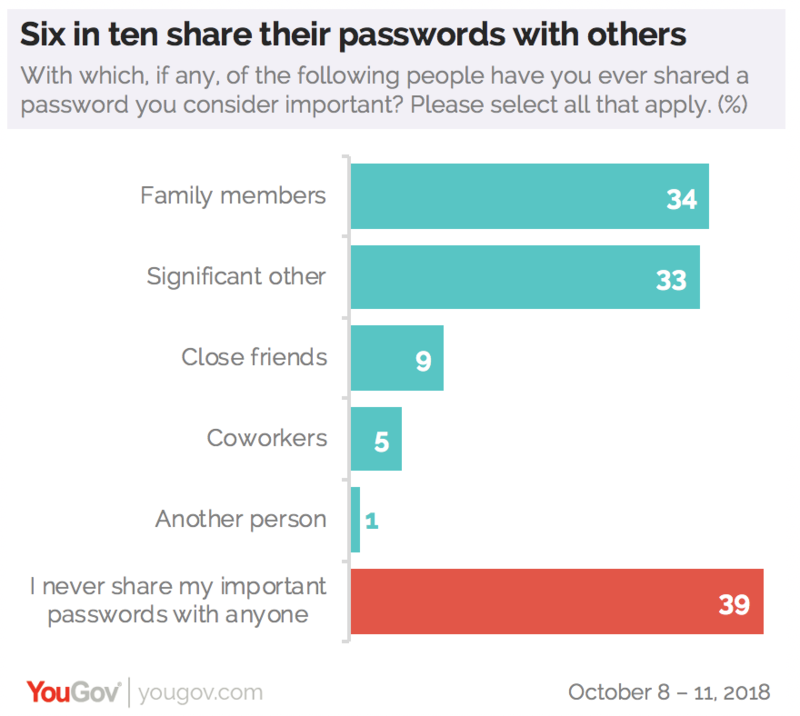 A third (34%) say they share an important password (such as an online login or the code to unlock a cell phone) with family members, followed by significant others (33%) and close friends (9%). 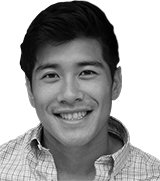 Notably, 19% of millennials share a password with their close friends. 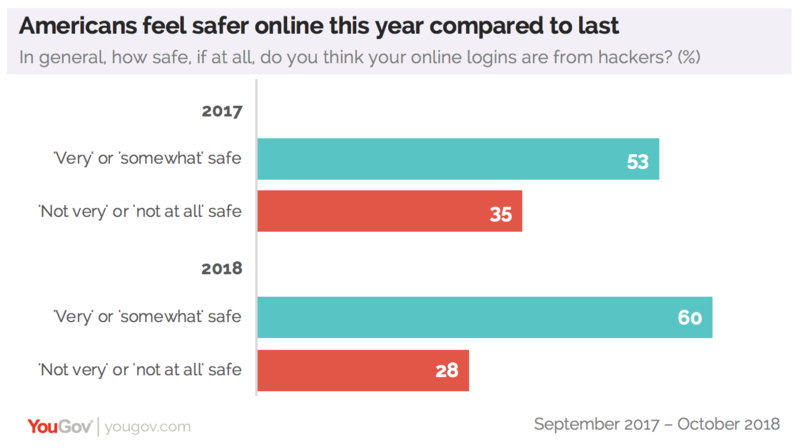 Online security is a personal topic for at least a third of Americans, 36% of whom say that their email and/or social media account was hacked at least once. 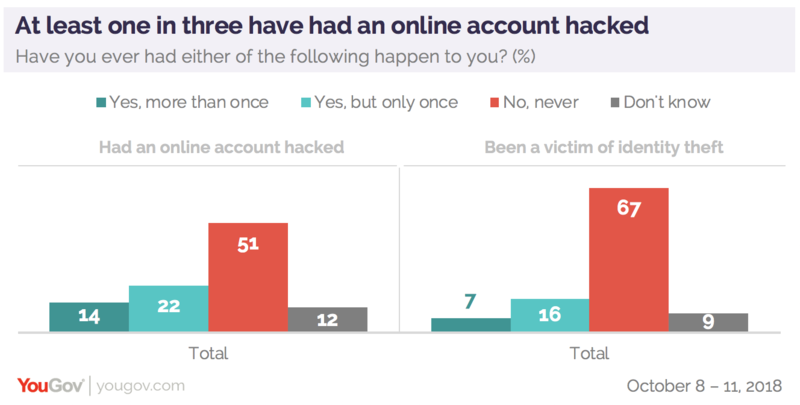 Americans the age of 35 to 54 (41%) are especially likely to report being hacked on an online account. Nearly a quarter of Americans (24%) report being a victim of identity theft, as well. Consumer sentiment around online security is more positive today than it was a year ago. In the wake of the Equifax breach in 2017, 53% of Americans thought their online logins were ‘very’ or ‘somewhat’ safe from hackers. Today, 60% of Americans believe their online logins are safe.